Here is the New episode of Sidha Kura Jnata Sanga is raising about Gobind Prasad Tiwari who is runway to Japan. 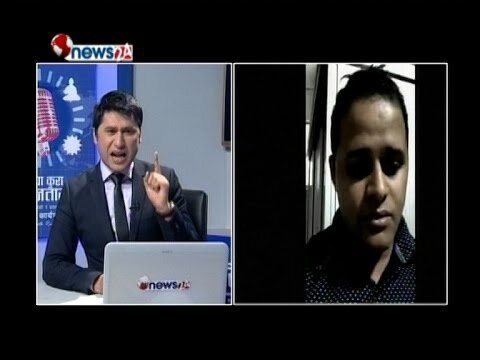 Lots of Nepalese are victim by Tiwari and in this episode program presenter Ravi Lamichhane straightly asking about the reason with him by the Live Phone Talk. THIS PROGRAM BROADCAST IN NEW24NEPAL TV IN NEPAL.